Trump’s threat to deny the outcome of the election if he is not pronounced the winner is not just narcissistic ramblings, but a staggering threat to our electoral system and the nation as we know it. It is enough to make even the typically cool, calm and collected, Keith Olbermann, GQ Special Correspondent, respond with a rarely captured passion. Olbermann speaks for all of us, saying exactly how he feels about Trump’s disgusting threats to blatantly disregard the voters and electoral college on Nov. 8th, as though he is above the law and can choose to ignore the results of the election. No, Trump you are not our dictator, nor will you ever be. “Burn. In. Hell!” he yells. 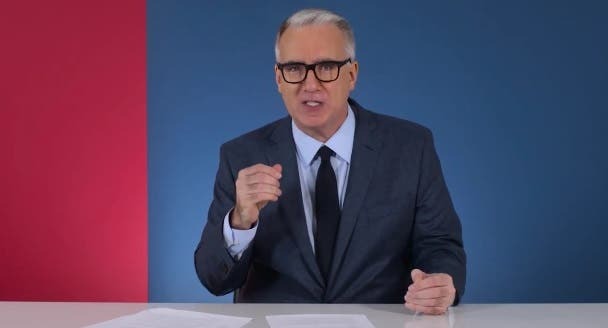 Finally, Olbermann issues a call to action, asking the Republican Party to force Trump to step down, before he causes to any further affronts on our governmental system.